Harpsichordist and organist Luc Beauséjour is renowned for the elegance, virtuosity, and expressiveness of his playing, which has won him an enthusiastic audience and the continuing praise of critics and music specialists. In the last few years, he has won numerous awards, including “2003 Performer of the Year” by the Conseil québécois de la musique. Mr. Beauséjour leads a very active performing schedule in Canada and abroad that has taken him to France, the United States, Austria, Germany, Hungary, Belgium, and Bermuda. He has performed in Paris, Boston, Washington D.C., Vienna, Munich, and Montreal, as well as at numerous festivals, including the Festival d’Uzès (France), the Lanaudière International Festival, the Festival d’Ambronay, the festival Un été à Bourges, the Lamèque Early Music Festival (New Brunswick), and the Vancouver Early Music Festival. He was invited to perform the Goldberg Variations at the Glenn Gould Studio in Toronto for a CBC commemoration of the great pianist’s birthday—testimony to the recognition he has earned as one of Canada’s finest musicians. 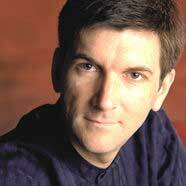 He is also heard regularly on both CBC and Radio-Canada. 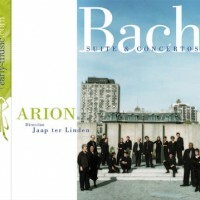 For Analekta, Naxos, early-music.com et CBC Records/Les Disques SRC, he has recorded some twenty CDs, many of which have won awards and praise from music magazines. He regularly teams up with eminent musicians such as sopranos Agnès Mellon, Donna Brown and Karina Gauvin; violinist James Ehnes; conductor and harpsichordist Hervé Niquet; trumpet player Paul Merkelo; oboist Louise Pellerin; and flutists Claire Guimond and Marie-Céline Labbé, to name a few. Producer Jacques Drouin chose Beauséjour’s interpretation of François Couperin’s Barricades mystérieuses for his animated film Empreintes, produced by the National Film Board of Canada in 2004. 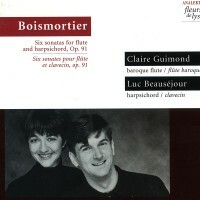 This piece was taken from Beauséjour’s recording Famous Works for Harpsichord, which won “Record of the Year” in the classical category for soloist and small ensemble at the 2001 ADISQ awards. In 1994, Mr. Beauséjour founded Clavecin en concert, a concert series of harpsichord music. His performances in this series have included the complete works for harpsichord of Rameau, J. S. Bach’s Goldberg Variations, The Art of Fugue, and Book I of The Well-tempered Clavier. Since 2001, the organization, whose mission is to promote the harpsichord repertoire, has enjoyed the support of various levels of government and has grown considerably in popularity. Born in Rawdon, Quebec, Mr. Beauséjour holds a Doctorate from the Université de Montréal. He studied harpsichord with Mireille Lagacé and organ with Bernard Lagacé. He also trained in Europe under Ton Koopman and Kenneth Gilbert. First Prize winner of the 1985 Erwin Bodky International Harpischord Competition in Boston, he has also won prizes at several other competitions and received a number of grants from the Canada Council and the Conseil des arts et des lettres du Québec. Mr. Beauséjour teaches harpsichord and organ in Montreal.